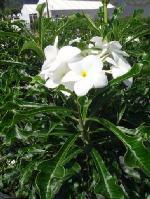 When well-dressed, Plumeria pudica looks like a bouquet of white flowers. 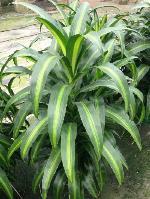 It usually has one or two slender trunks that branch close to the ground forming a dense slightly spreading crown. 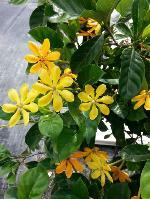 A most beautiful Plumeria it is well suited for full sun at the edges of gardens, or lining walkways. 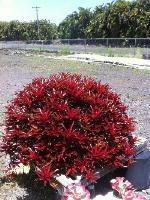 Spathoglottis Grapette smells like grape soda. 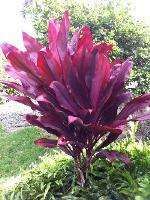 It has deeply colored purple flowers in tight clusters. 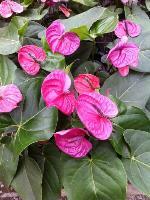 The contract between flowers and foliage is striking. 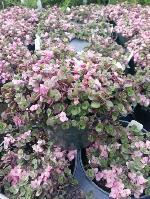 Like most Spathoglottis it likes a ph between 5 and 6.5 and regular fertilizer. 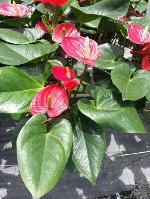 Regular applications of a mild fertilizer will help keep the plants looking good. 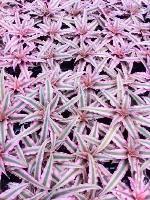 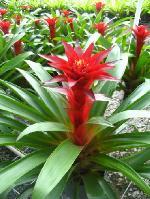 The Sheba hybrid bromeliad grows into clumps. 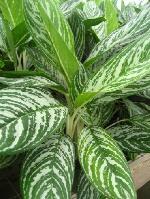 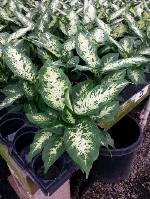 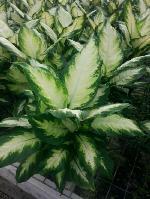 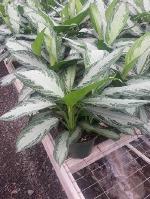 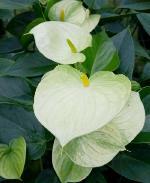 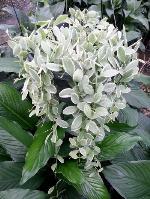 with green leaves edged with wide ivory-white bands. 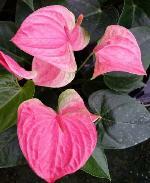 In the heat of summer, pink blush appears on the upper leaves and the center of the plant rosette turns red when a mature blooms in late spring or early summer. 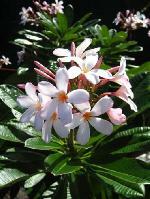 Petite Pink Dwarf Singapore Plumeria is a hybrid of unknown parentage. 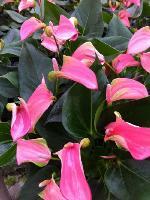 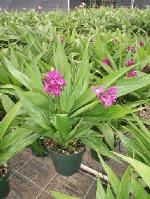 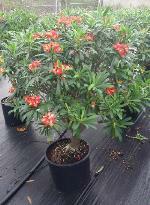 It has foliage that is the same as the Singapore Plumeria but has a smaller pink flower. 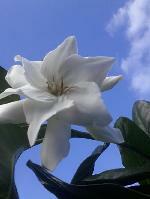 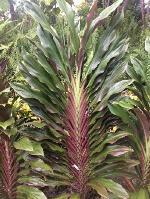 It is evergreen in Hawaii with a sweet fragarance. 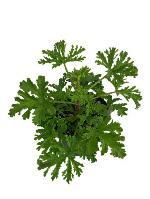 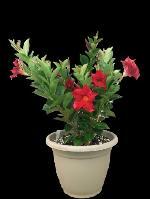 It forms a compact tree suitable for smaller landscapes and makes a very nice potted plant. 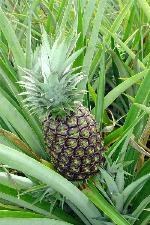 The Ananas Comosus is a tropical plant with fruit. 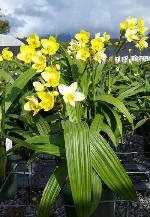 A yellow flowering ground orchid. 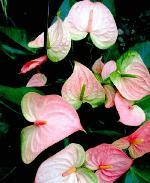 Flowers year round in warm climate. 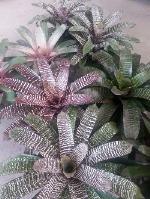 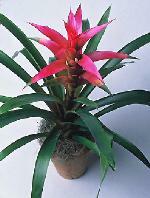 The Tillandsia Cyanea or Pink Quill is a species of flowering plant in the bromeliad family, subfamily Tillandioideae. 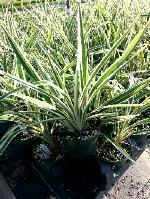 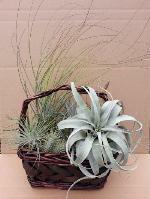 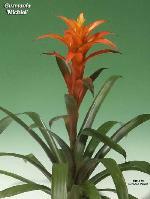 The Tillandsia Cyanea is amonth the most commonly cultivated bromeliad species. 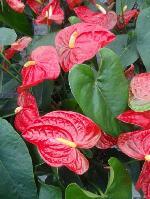 The foliage grows in a rosette of thin, recurved leaves and the a plume of pink or red bracts from which violet flowers emerge. 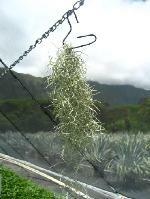 The Tillandsia Funckiana is native to Venezuela and is one of the most exquisite and interesting of the Tillandsia family. 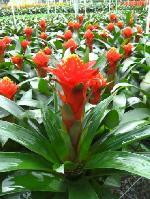 It can grown to a large clump which will produce a bright red flower. 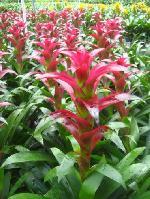 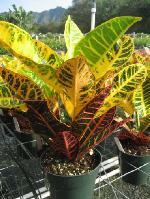 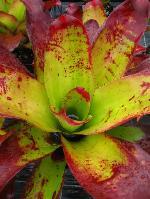 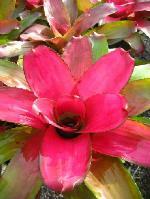 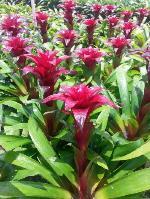 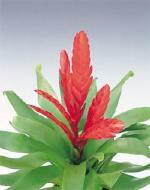 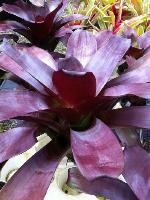 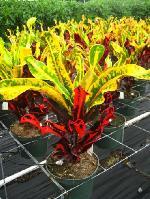 This small stature bromeliad plant produces a brilliant, fire engine red flower spike. 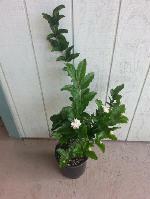 The branching spike will provide weeks and weeks of pleasure to any plant lover. 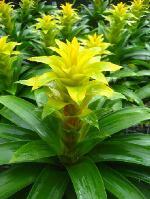 The easy care enables even a novice "green thumb" to have a satisfying experience.Care Instructions: Prefers light shade or filtered light. 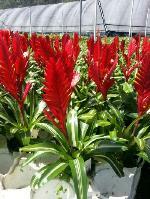 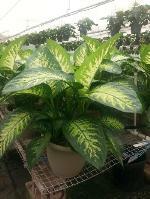 Does well indoors with temperatures between 55-80 degrees and some slight humidity.Water when the soil is dry. 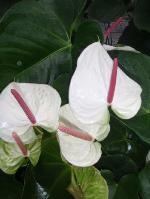 Water will naturally collect in the 'vase' of the plant. 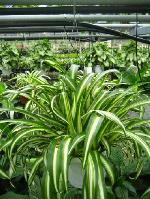 If you are growing the plant indoors, flush the old water out of the vase to keep it from stagnating. 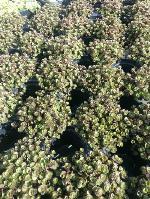 Light liquid feed may be given occassionally.